A discussion on the number of parking spaces needed for an apartment complex on Olive Drive led to the Vanguard presenting data from the UC Davis Institute of Transportation Studies that found, in terms of mode share of students getting to campus, only 30 percent of the 36,000 who traveled to campus used a car, either driving alone or in a carpool. While an instructive piece of data, it was correctly pointed out that, just because students are not using cars to travel to campus, it does not mean they do not have a car and thus do not need a parking space at the proposed apartment complex on Olive Drive, Lincoln40. Since this is a fair point, and one that is not immediately answered in the 2014-15 Campus Travel Survey report, the Vanguard reached out to Calvin Thigpen, a PhD candidate in Transportation Technology and Policy (TTP) at UC Davis, who is the one who wrote the report and is working on finalizing the 2015-16 report – which he said is not all that different from the previous report. He pointed the Vanguard to page 51, table 44 of the report which shows that about 47.9 percent of all students have “access to a car.” Breaking it down, just 42.7 percent of undergraduates have “access to a car,” compared with 70.8 percent of graduates and 93.3 percent of employees. Those who live outside of Davis are nearly all driving into town, with 91.5 percent having access to a car, although it doesn’t break it down by category – student versus employee. Of those who live in Davis, less than half have access to a car – again, across all categories. Calvin Thigpen noted that having access to a car is not a perfect measure of car-ownership as “some students could be referring to the same shared car.” He estimates that about 14,939 students have “access to a car.” That breaks down to 10,862 undergraduate students and 4077 graduate students. Based on that question, he would guess that the number of actual student-owned cars is an overestimate. Given the much higher numbers of people who have access to a car who live outside of town, not to mention the likely overestimate of access to a car, due to the number of students who are able to borrow someone else’s car rather than own their own, the real number of undergraduates is probably a lot closer to one-third who would need a parking spot at the new apartment complex. Factor in the close proximity to campus, the easy bike or walking trip across Richards Blvd. to the bike path and the possibility of the rental complex charging for their parking spots, and students will probably self-select themselves out of any problem with limited parking. The Lincoln40 complex offers 708 beds but only 239 parking stalls, around one parking spot for every three beds. As we noted in the initial article, commenters were skeptical that this would be enough. However, based on our initial analysis of driving to school and now our analysis with car ownership, we think that the projected parking lot would accommodate the rough needs of the residents. Most importantly, this analysis is based on current behavior and not projected changes to student driving and car ownership. This paragraph equates the “needs of the residents” with “with student driving and car ownership.” But no evidence has been offered that the residents of the Lincoln 40 apartments will all be students. Indeed unless this project is sold or leased to the University, there is no legal ability to restrict renter-ship to students. No part of this article even suggest why the apartment complex would be predominantly students. So like the article from a few days ago, this article cannot make the conclusion it puts forward based on the data it cites. Not sure why you believe that the article needs to support either conclusion. The more operative question is whether there are 708 people who would like to live in a place like Lincoln40 with the proposed amenities. As an analogy Lincoln40 does not have a pool. It is not necessary to prove that the renters of Davis are predominantly hydrophobic though some of the posters on this blog certainly are, at least in the classical sense. If a complex is build with a very small pool then the question arises will people sneak into the other complexes to use their pool or will the pool be adequate to meet demand? I think the DV has done a capable job demonstrating that the parking spaces will be sufficient to meet the demand of the tenants without unduly creating problems for the city of Davis. Grok, Try for a minute to grasp the progressive idea of non-car ownership and use of bikes, public transportation, uber and zip cars as a lifestyle. Many millenials are going this route and not just students. You and I are going to have to agree to disagree if you believe that a facility renting by the bed is not going to end up with 95% student population. Reguardless, anyone who moves there will know there is limited parking and that they may incur additional fees for parking. I see this as a non-issue. > the Lincoln 40 apartments will all be students. > end up with 95% student population. I have neither agreed nor disagreed with you that the apartments will predominantly house students. I have just pointed out that the data you present in the article does not show that Lincoln 40 will predominantly house students, and that there can be no legal requirement that it house only house UCD students unless it is purchased or leased by UCD. I am absolutely amazed by the posts here. As I pointed out above, this article equates residents with students but offers no evidence to show that this is true. I stand by this statement. A string of posters have jumped to the conclusion that I am advocating for increasing parking. In no way did I advocate for anything beyond intellectual honesty. This article does not demonstrate that the Lincoln 40 apartments will be occupied by students. There may by information out there that can prove that Lincoln 40 will be all or mostly students, but it was not presented in today’s article, nor was it presented in the article a few days ago. No, you are advocating that the project not be built, I think. 1) The better project for this parcel would have been a parking garage for the train station and downtown to help get cars off of I80, provide increased parking for downtown, and do so without bringing cars through the Richards tunnel. Train parking can only reasonably be built in proximity to the train station, but housing can be built in may other locations. The opportunity to build this may have already passed. 2) The need for a grade separated crossing from Olive Drive to the Downtown has existed at least since the railroad built the fence and blocked the informal at grade crossing. That need will be increased by the addition of more housing on Olive Drive. 3) Olive Drive needs better bike lanes now. That need will be increased with the addition of more housing on Olive. “The better project for this parcel would have been a parking garage for the train station and downtown to help get cars off of I80” Do you have evidence that people would use such a facility? Grok, the opportunity may have already passed, but it also may not have. What has definitely transpired is a significant reduction in the opportunity to get Federal and State funding for such a garage and grade-separated crossing project, with the end result of that reduction being that the project will have to use its operational revenue stream to cover its costs. I won’t repeat the self-funding fiscal analysis I did for Ron yesterday. Its details vcan be seen here. The net of that self-funding was that non-Davis residents who are train commuters coming to Davis as a convenience rather than using their home city’s train station (and parking) would have to pay between $30 and $60 a day to park in the garage if (A) the monthly debt service costs of the garage are to be covered and (B) parking in the garage is free for Davis residents using it to conveniently patronize Downtown Davis businesses. The higher the level of non-Davis train commuter parking, the lower the daily price could be in the $30 to $60 per day range. Lower levels of non-Davis train commuter parking would mean the higher the daily price would be in the $30 to $60 per day range. Grok, that leaves us with the question, Do you think non-Davis train commuters will be willing to pay $30-$60 per day to park at the Davis train station rather than at a different (e.g. Sacramento) train station? In the interests of full disclosure, Ron chose no to answer that question yesterday. With that said, it is the key question that is most likely to address the question of whether the opportunity to build such a garage and grade-separated crossing may have already passed. I think a more formal study would need to be done to really determine how many people would use the lot and at what price. I can say I met a women this morning from Yuba City who was willing to accept a parking ticket she estimated to cost more than $300 in order to park and make her train to San Francisco on time. This is of course only incidental evidence and I think a willingness to pay $300+ to park is an outlier, but this combined with the fact the Amtrak lot is usually filled by 6:30am strongly suggests to me that there is both a demand and there are people willing to pay for parking. The opportunity to build parking on the Lot where Lincoln 40 is proposed may have past, but my hope is if that opportunity ever does come back around area governments would see the benefit to getting cars off I-80 and regional funding would be able to keep the cost much lower than the $30-60 a day you propose. With regional funding, I don’t think there is a need to draw the distinction between Davis commuters and non Davis commuters thus spreading the cost evenly across all lot users and simplifying the parking fees. I agree there is a demand Grok. The question is what is the price elasticity of that demand. Right now the price is $0.00, so the existing demand is unfettered. Harkening back to our prior conversation, charging Davis residents the same rate as non-Davis residents for parking there would not produce the increased sales traffic in Downtown that you were looking for in that prior conversation. The $30-$60 a day for the non-Davis residents assumed they filled 50% of the garage and the other 50% was filled by the Davis residents. That means if you charge all the parkers the same rate, the rate would come down to $15-$30 per day. Do you know any Davis residents who would pay $15-$30 per day to park on Olive and walk through the grade-separated crossing to Downtown? Unless Federal and State funding miraculously reappears, I’m afraid you are right, the opportunity may have passed. Your suggestion that someone who is going downtown to shop for an hour or two should be charged for a full day of parking is not in line with how these things usually work. Generally a garage like this would have an hourly rate that would be more inline with costs of parking in the down town ( I am not sure what that will be, but my understanding is paid parking is coming to the downtown.) Then there would likely be monthly rates for regular commuters, and day rates for daily commuters. Maybe the first hour would even be free to encourage people to park their cars outside the downtown. The point is there are options on how to price parking besides just a flat day rate on size fits all. You miss my point Grok. If the lot is 50% full of non-Davis residents and 50% full of Davis residents, all being charged (as you suggested) the same rate, each increment of the 50% from the Davis residents will be equal to the same increment of the non-Davis residents . . . $15-$30 per day. The fact that that $15-$30 is spread across multiple Davis resident users is inconsequential when making the aggregate revenue calculations using your assumption. Sorry Matt, it is not clear to me what your trying to say. Please elaborate. Please note though that the “pie in the sky lot” I am talking about has regional funding and not just Davis funding. Grok, the annual debt service for each parking space (supported by a grade-separated crossing to the train station and Downtown) is $7,702 (borrowing $75,000 of capital at a 6% interest rate). There are 260 weekdays in a year, which means each space has to generate $30 per day of revenue for debt service, plus operations costs. If there are no Davis resident discounts offered then the $30 per day is divided by the percentage occupancy (for example if the space occupancy is 50% then $30 divided by 0.5 produces a daily rate of $60 in order to produce the average $30 per day revenue across all the spaces. If Davis residents receive free parking then the percentage occupancy is only counted for the spaces filled by the non-Davis residents (for example if 25% of the spaces are filled by Davis residents and 50% of the spaces are filled by non-Davis residents then the daily rate for the non-Davis residents needs to be $60 ($30 divided by 0.5) in order to produce the average $30 per day revenue across all the spaces. The minimal amount of weekend revenue should be enough to cover operational costs. In the first scenario, the hourly rate would be the $60 daily total divided by the number of hours a day on average that an hourly space would actually be filled. If that is determined to be 6 hours each day, then the hourly rate would be $10. If that is determined to be 5 hours each day, then the hourly rate would be $12. While offering no evidence to the contrary, nice work if you can get it. I think my hydrophobia comment was apt. > students but offers no evidence to show that this is true. How about offering some “evidence” that shows the residents will NOT be students (it will be hard since EVERY apartment in America near a University that rents by the bed is full of students). Non-students who live in apartment complexes like this are largely of the same demographic and have similar driving behavior as UCD students. Your argument is basically irrelevant. The only argument I have made is that this blog post draws conclusions that are not supported by the data presented in the blog post. Please elaborate on what you mean by “apartment complexes like this” and offer an example of another apartment complex like this. “is ALMOST ALL students” above (in all caps this time to make it easier to read). Can you please direct me to the evidence that Lincoln 40 will rent by the bed? Without taking a position on who will actually live at Lincoln 40 let me point out that Lincoln 40 and University Square are fairly different apartment complexes. Lincoln 40 is immediately adjacent to a regional transportation hub. University Square is Immediately adjacent to the campus. Lincoln 40 appears to be a higher end new development. University Square is a much older apartment complex. The scoping report references 708 beds including 227 rooms with double occupancy. Obviously all of that would be irrelevant unless they were planning to rent by the bed. Chamber, that is not very good evidence that the apartments will be rented by the room. Is there any other evidence? Grok: Since I’m neither the developer nor the Vanguard, I was just sharing my observation about the beds. I would suggest you ask at the meeting tomorrow. Thanks Chamber, I appreciate both your original answer and your redirecting the question to the Vanguard. Both South of Davis and David Greenwald have stated as a fact that the apartment will be rented by the room, but I have not been able to find any evidence of that. Hopefully one of them can back up their claim. > that Lincoln 40 will rent by the bed? I know that the Lincoln 40 developers are “planning” to lease by the bed (just like the developers of most other new student oriented developments near major Universities in the last 10 years). I don’t have any “evidence” of this since the property is just starting to go through the planning process. If you look at other HighBridge and/or Progress Student Living properties you will see that they lease by the bed. Pretty funny really. SOD gets caught claiming the Lincoln 40 project will be a rent by the room project but can provide no actual evidence that that is the case, so he claims he knows because he is friends with the developer or something and wouldn’t it be a better world if grok wasn’t here to point out that he made a false assertion. Poor SOD. Grok, what kind of evidence are you looking for? The proportion of students to non-students at Lexington could be one possibility. However, it would be useful to understand what you believe would be compelling evidence. Thank you for your thoughtful question. I was not seeking information to advocate for any specific position in relation to parking at Lincoln 40. In the interest of helping the author of this blog post prove the point they have now twice tried to demonstrate, here are a couple of suggestions. Information similar to the ratio of students to non students at the Lexington apartments that are not part of the University student housing program might be helpful. The comparison would need to be to apartments that have similar proximity to regional transportation like the Amtrak station and downtown amenities, because both could have a significant impact on renter-ship. I am sure there are other types of information that could support the conclusion Lincoln 40 will be rented predominantly by students. The most car dependent commuters to UCD, according to data David published the other day, seem to be from workers priced out of Davis by the supply imbalance created by the need for the university to grow and the unwillingness of the city to accommodate that growth. In other words, for all of Davis’ talk about sustainability, we have fostered a situation that is exactly the opposite of sustainable when it comes to the biggest environmental threat the world faces, greenhouse gas production. I would like to start with the premise that neither those arguing for or against the adequacy of the current parking plan know what will actually happen. I think it is also fair to say that each side is writing as though they do know some things that remain unknowns. First unknown. What percentage of the units will be rented by students. As was presented to us, the project was being specifically targeted to students. Now while this certainly does not mean that only students will choose to live there, it has been my experience as an apartment renter during all but one year of my education ( 11 years), buildings so planned tend to be almost exclusively students. It might be worthwhile to try to determine what percentage of other so targeted apartment complexes have been inhabited by students. Lets suppose that not all of the apartments are rented by students. If some are rented by other than students it is actually unknown how many parking spaces would be needed since we do not know who this people would be and whether or not they might be choosing this location specifically because a car was not needed for their chosen lifestyle. So the supposition that twice as many parking spaces are needed than provided certainly does not hold based on anything more than conjecture. I see this as a genuine concern, but not necessarily a prohibitive one. Hopefully more information will be forthcoming leading to less speculation. Tia, thanks for your thoughtful post. I agree that there will always be a level of uncertainty to the future, but there are things we can do to predict behavior. The DV article today and a few days ago would seem to predict student behavior at least by past performance, the articles just have not closed the loop to show that Lincoln 40 will predominantly house students. I have not taken a position advocating for more, less or the same amount of parking as is being proposed. I would however be very interested to see more information about who will likely live in these apartments. Why does it matter? People will self-select to live where they find the appropriate balance of cost they can afford and amenities they need. Those who choose Lincoln40 will know in advance that parking will be limited and act accordingly as they determine if the facility is an appropriate choice. I see no value in attempting to micromanage what others choose for their own living situation, so it really doesn’t matter who will live there. This complex will simply be one more option for people to consider. Mark, I don’t disagree with you on this post. My interest stems more from the fact that the vanguard has now twice put forward data and claimed it shows car ownership at Lincoln 40 will be low, but twice the data has not supported the claim. I doubt it. From your posting history, I think it is clear that your real interest is to create doubt in the public’s mind in an effort to diminish the project. If you really agreed that it doesn’t matter who lives in these apartments, you would not be posting about your ‘concerns’ about the VG. Mark, this is just another in a list of bs accusations you have leveled against me. Are you now going to claim that the Davis Enterprise is paying me to try to diminish the integrity of the Vanguard or that someone else is paying me? This is just my opinion, Grok. Others are free to make their own assessment. OK Mark fair enough. lets get a beer or something then because we probably have more in common than not. Grab me the next time you see me and we can figure out when. Since I also know who you are Grok, add me to the list of people to meet in person. Just let me know when might work for you. I have told you before, the place where I drink beer doesn’t serve imaginary people. This could also be seen from a couple of different perspectives. 1. The “need” of the university to grow could be seen as the “choice” of the university to grow. While I would not limit and would argue for expanding the education of California students, I think that would could make a reasonable case that the choice could have been made to limit the number of out of state and foreign students. 2. One could also make the case the given that it was the university choice to undertake rapid expansion with the city having no say, that the university should have been more proactive in expanding their on campus housing choices. In my view it is not the sole responsibility of the city to house all the students that the university decides to accept and that some balance is needed and neither side has acted responsibly in this matter. > The “need” of the university to grow could be seen as the “choice” of the university to grow. Just like Kaiser would not be successful today if it did not grow and expand to cover people that worked outside the Kaiser shipyards, UCD would not be successful today if it did not grow and expand and become more than a “University Farm” east of the UC Berkeley campus. I will stand by the accuracy of my statement that this is choice. I made no statement at all about whether or not I think it is the right choice. But it certainly was the decision of the university and the city of Davis was most certainly not consulted although making the decision surely must have known that a burden would have been placed on the city by their unilateral decision making, and their unilateral choice not to honor previous agreements. Also, I do not share your apparent belief that growth is necessary for excellence. Some businesses, educational institutions, and communities choose to maintain at a small size for long periods of time without stagnating. Just two examples from my direct experience. In Southern California my two favorite restaurants, one Italian and one Mexican were family owned and operated business handed down through multiple generations without ever expanding their businesses. They had found their niche and were content. “This could also be seen from a couple of different perspectives”. You could look from different viewpoints however the reality (not perspective) is that UCD is paid for by the people of California to educate students from California though it does have a side business in out-of-state students. Every dollar they spent on housing is a dollar less to educate students. Many of the suggestions here for high rise student housing are very expensive and are unlikely to be seen as worthwhile by the average CA taxpayer. Taxpayers may legitimately ask why they should pay more money to house students in the fashion that certain people in Davis prefer rather than educating more students. Not sure I have heard a reason to do so that would be compelling to the people who are paying the bill. I recall that “Edison” repeatedly referenced a company that specializes in campus housing which provides all up-front costs, and recoups those costs over time via rent. No cost to the University or taxpayers. There are several companies that would build housing on that basis. Whether they would build the high-cost 10 story dorms is something that I have no idea about. quielo: That’s not what you said in the statement I quoted from you, above. While there are companies who will build housing at-risk, both on and off campus, I am not aware of any company that has an outstanding bid to build housing on the UCD campus that will be acceptable to “certain people in Davis”, Are you? quielo: “I am not aware of any company that has an outstanding bid to build housing on the UCD campus that will be acceptable to “certain people in Davis”. I’m not sure I understand your question. But again, you (incorrectly) stated above that the University and taxpayers foot the bill for campus housing, and that doing so reduces funding to educate students. Were you being purposefully misleading, and are now trying to change the subject? Do you have someone who has actually made a bona fide proposal to build housing acceptable to the high density folks here at no cost to UCD? Yes or No? If you want to ramble about how “you read that some company some place may do something along these lines and maybe they would do that here and if they did it would meet with approval of the posters on the DV”, and you are hiring a moving van and waiting for the towers to appear. Again, a deflection and lack of acknowledgement regarding a dishonest statement you made, above. quielo: I thought about this a little more (including what you and hpierce said), and realized that I may have misunderstood your point. I now believe that your point may have been related to the costs of various types of housing, and not “who” is paying for it. Not a discussion that I’ll engage in today, but my sincere apologies for what I now believe was my incorrect conclusion regarding your point. Thanks for clearing up the misunderstanding. If a third party wants to build housing they will likely want to build low rise housing on Russell and they may want some commitments regarding UCD not building more housing which UCD may not want to give. It would surprise me if rents in Davis were high enough to justify building a 10 story dorm on speculation. But what UCD does have is a product for which there is high and growing demand, diplomas. Because of a good market for its products, UCD is growing while the host community, the City of Davis has refused to grow and is cracking under the strain of lack of revenue and housing. As a result many of the workers are forced to live in nearby communities resulting in car dependency that might otherwise be obviated by a rational plan by both the city and the university to grow together and wisely. For decades many in the city have held onto the notion that if we don’t build it they won’t come. If you think that approach hasn’t failed you aren’t paying attention. The reality, as Katehi rightly pointed out, is that if we don’t build it they will go around us. Davis can remain a rock in the river of ignorance indefinitely, but it can’t avoid the negative unintended consequences of its choices like additional GHG production from the work force that commutes to UCD, who in a saner community could get there by other means like most of the students do. Davis likes to implement policies that increase traffic (and GHGs), and lower revenue while at the same time complaining about traffic and poverty. Mis… you and Ron have something in common… apparently you both view students and their parents as something other than taxpayers… perhaps because they might pay “directly” rather thru income tax/property tax? Let’s take it to the next level… fully privatize UC… then they would have no more responsibility to provide housing than Microsoft, HP, Google, etc. Since some seem to believe there are little/no state/taxpayer funds going to UC, let’s completely cut that string. As a privatized entity, we could at least get some taxes to pay for community impacts to their presence! hpierce: I didn’t say that (and I’m not seeing where Misanthrop said it, either). Students might pay some taxes but they are likely to pay the bulk of their taxes in the future and the only investment that pays greater future returns in tax dollars than education is research. UCD is a big source for both of those classes of taxes. Of course the value added to the future tax collections is greater the more educated the society. I don’t know why you think I am somehow dismissive of the taxes paid by the parents because I am not. The reality is that the appropriators in Sacramento have been sending fewer and fewer dollars to UC on a percentage basis since the 70’s. I even provided a link above showing how this has played out in recent years. UC is now only getting about $3 billion of its $30 billion annual budget from the state. $3 billion is still a lot of money. Enough to get UCOP’s attention when legislators started calling for Katehi’s head to be hoisted on a Pike. Still the idea that UC is funded by the state isn’t the same as it used to be. As someone rightly pointed out if the people of this state want UC to take fewer out of state students they could start by getting Sacramento to fund more of the UC budget. One of the characteristics of a great University is the diversity of its students. College is the place where many first experience interacting and working with people from other cultures and backgrounds. Limiting the number of out of state and foreign students will diminish the University, both for the students and the wider community. Whether the students live on campus, or within the City limits, they will be adding to the functional population of the town. Those students need to live somewhere, and from an environmental perspective, the best place is within the Davis sphere of influence. It is time to build more apartments, both on campus and off, whether or not the no-first crowd agrees. > One of the characteristics of a great University is the diversity of its students. Diversity comes in many forms. Anything that militates the fears of ‘not like me’ will benefit the students, the university, and the community. Nearly half of all Aggies ride bicycles to campus, which is far more than outside observers predicted UC Davis could achieve. But the university is growing, and its 18,000-plus parking spaces sometimes fill to 80 percent capacity. TAPS will soon hire a consultant to help think up new ways to encourage people to use alternative transportation, and in the meantime may use a strategy to fit more cars on campus. “We’ll find out during fall quarter whether our existing parking inventory will accommodate the parking demands of the campus,” Contreras said. If not, the department will hire a vendor to provide stack parking, which is similar to valet parking: After a parking structure or surface lot fills, more cars are parked in the aisles. Attendants are on hand to retrieve blocked-in vehicles. [Stacked parking] increases the amount of available parking by around 20 percent. APS already offers a wide range of incentives to people who agree to forgo parking permits. For example, the goClub program offers discounted train and bus passes, free Zipcar membership and “rainy day” permits (a limited number each quarter), to be used by people who elect to drive instead of biking in the rain. Holdouts might not be easy to convert, and TAPS may need to invest more to get people to warm to the idea of bikes, carpools, buses and trains. Note that I am not arguing against the proposed complex. I haven’t researched it enough to have an opinion one way or the other. But I think some people are being a bit cavalier with their assumptions concerning parking and cars. We need more information, as Tia suggests. So the above is offered in the spirit of providing a small piece of that additional information. Just because there are more cars on campus, doesn’t negate the idea that a low percentage of students are driving. The problem looking at the report is a huge percentage of faculty (over 90%) are..
Where do you get 90% faculty driving?? The report I am looking at gives the following percentages for faculty: 48.7% bike, 5.4% walk or skate, 32.8% drive alone, 7.7% carpool or ride, 1.6% bus, 4% train. Of course, this could be better – but in any case, it’s not the faculty who the main force behind the filling of 18,000+ parking spaces! The report estimates 2591 faculty. Right now they are taking up ~850 parking spaces — but actually, it’s less than that, because faculty do not go to campus every day (they are the ones who go to campus the least often of everyone in the report, because they are often telecommuting or away at conferences or doing site visits, etc). Did you just make that 90% figure up? My bad I was looking at access to cars, not mode share. Roberta and Chamber fan, the following table is from the City’s 2013 Housing Element report. It is hard to imagine that with only 23.8% of the faculty and Staff living in Davis that the Bicycle Mode Share could possibly get up to Roberta’s reported 48.7%, especially with the 5.4% who walk or skate. Go here, then click on “Download PDF,” then see p. 21 of the PDF. It’s the average across all of the residential locations. The PDF describes the survey methodology, so feel free to take issue with what you like. I am just reporting the data that they are reporting, the same report (I think) that David is relying on in his article above. Thank you Matt and Roberta for the data. On Roberta’s PDF on the bottom of page 24 it shows prevalence of biking from each of the neighborhoods in Davis. What I find most interesting (other than the clear error of 27.5% overall bike) is that 20% of the downtown residents walk to campus while downtown and central Davis residents are almost twice as likely to bike as South Davis residents. Roberta’s report shows “Individuals who indicated that they live outside of Davis are most likely to live in the nearby cities of Sacramento, Woodland, Vacaville, West Sacramento, Dixon, Elk Grove, and Winters.” While Matt’s has 31% “other”. Not sure all these people live who say they are “other” since the highest population spots in Roberta’s report are also covered in Matt’s report. quielo, I expect that you are using “Roberta’s report” and “Matt’s report” as an easy shorthand, but just so that others are clear – I was not involved in any way in gathering these data. The UC Davis Campus Travel Survey is a joint effort by the Transportation & Parking Services (TAPS) and the Sustainable Transportation Center, part of the Institute of Transportation Studies at UC Davis. Since 2007 the survey has been administered each fall by a graduate student at the Institute of Transportation Studies. The main purpose of the survey is to collect annual data on how the UC Davis community travels to campus, including mode choice, vehicle occupancy, distances traveled, and carbon emissions. Over the past six years, the travel survey results have been used to assess awareness and utilization of campus transportation services and estimate demand for new services designed to promote sustainable commuting at UC Davis. Data from the campus travel survey have also provided researchers with valuable insights about the effects of attitudes and perceptions of mobility options on commute mode choice. This year’s survey is the seventh administration of the campus travel survey. The 2013-14 survey was administered online in October 2013, distributed by email to a stratified random sample of 27,798 students, faculty, and staff (out of an estimated total population of 42,115). About 14.5 percent (4,025 individuals) of those contacted responded to this year’s survey, with 13.2 percent actually completing it. For the statistics presented throughout this report, we weight the responses by role (freshman, sophomore, junior, senior, Master’s student, PhD student, faculty, and staff) and gender so that the proportion of respondents in each group reflects their proportion in the campus population. On another issue: what “clear error of 27.5% overall bike” are you referring to? “clear error of 27.5% overall bike” If you look at table 20 at the bottom of page 24 “Table 20. Share using each mode on an average weekday, by neighborhood” one column shows the percentage of people traveling by bike by neighborhood. It appears that the “overall” should be a weighted average of the different neighborhoods. The lowest neighborhood has 36.8% riding while the highest has 67.7% however the overall is 27.5%. How is it possible the the overall is lower than any of the constituent groups? Roberta, the 2010 Faculty and Staff number of 19,846 comes from Table 8 on Page 13 of Section 3 (theHousing Needs Assessment chapter) of the 2013 City of Davis Housing Element (see LINK). Your link covers a broader universe, specifically “The 2013-14 survey was administered online in October 2013, distributed by email to a stratified random sample of 27,798 students, faculty, and staff (out of an estimated total population of 42,115).” Adding 22,269 Students to Faculty and Staff count the makes the Survey somewhat different, but Table 15 on Page 21 does report the 48.7% bike share for the 320 Faculty who responded and the 21.4% bike share for the 672 Staff who responded. 320 plus 672 is 992, which is only a 5% response rate out of 19,846. Can we really draw any conclusions from a sample that is only 5% of the total? BTW, thank you for pointing me to the Transportation Study. It is very interesting reading. quielo, I see what you mean now. That is odd. Either it’s a blooper of a mistake or you and I are missing something about what that cell is supposed to mean. Matt, as it shows on page 9, the faculty response rate was 13.9% (320 out of 2299). As it shows on p. 14, this amounts to a margin of error of ±5.1%, just outside the target margin of error of ±5%. It is interesting Roberta to see the US Census and City of Davis Housing Element totals for faculty and Staff be so significantly different from the Survey. 19,846 for the first two and only 11,887 in Table 3 of the survey. That’s a substantial variance. Strange. For these purposes, it probably doesn’t make sense to lump faculty and staff together. Most staff are on campus most days with regular hours. Most faculty are not. A list of employee (faculty and staff) email addresses was drawn by Data Administration staff using the Campus Data Warehouse. Employees were screened to exclude those affiliated with the Medical Center or field stations, those without salary, Emeritus faculty, Extension School faculty, temporary employees, and employees without email addresses. Perhaps the numbers you cite did not exclude these groups. quielo, yes, you ask a good question about why the percentage of cyclists from south Davis is lower than it is from other parts of the city. I guess it could also have to do with the convenience/ease of biking from there. But I don’t really know. And yes, these data can perhaps help to inform new construction. The WHAT???!!! The “easy” trip through the “worst intersection in Davis” (according to Davis Wiki, me, and just about everyone who uses it on a regular basis. In addition , access to the path was recently made WORSE and MORE DANGEROUS by the ridiculous ultra-narrowing of the south bound lane on South Olive with nothing to indicate to cars they are sharing this spaghetti-noodle of a lane with bicycles, not even sharrows. I think part of the dysfunction we have in town is that we’re spoiled. Worst intersection in Davis, still isn’t too bad. I have driven a number of guests through that intersection. Never been a comment on it being particularly difficult or dangerous. Italics are mine. Enough said. “Italics are mine.” OK, you can have all the italics you you want. >“Italics are mine.” OK, you can have all the italics you you want. ALL CAPS is mine. Enough said. > we’re spoiled. Worst intersection in Davis, still isn’t too bad. I’ve had a couple of times where I had to wait for the lights to cycle an extra time in order to proceed. I managed to live through it. God, you are insufferable on this. Really? Really? There are so many deficiencies to bicycle safety and access here that have gone many times here, and THAT is you response. Come on, that’s just lame. I believe that was my first comment. Anyone who thinks somehow 700 additional bicyclists and/or drivers won’t affect the intersection is naive at best. What is the expected hourly rate? I agree they will have a huge impact if they go through all at once, but that’s unlikely. Lets not forget we are talking about the trips of 700+ new residents, not 700 trips. the number of trips per day will be higher. What matters is the number on the street at any given time. Considering most of their morning classes start at the same time, I’d expect a morning rush to occur. I don’t agree with this. I think a regular and dispersed stream of cyclists would create the greatest disruption. It only takes 1 cyclist to press the crossing button, trigger the light change and delay the cars on Richards. The difference in crossing time between 1 cyclist and 20 is not as big as the additional time delay for each button push triggered light change. What probably matters most is the number of times the button is pushed triggering a light change more than how many cyclists cross overall. Of course the more cyclists, the more opportunity for there to be dispersed button push triggered light changes. based on our initial analysis of driving to school and now our analysis with car ownership, we think that the projected parking lot would accommodate the rough needs of the residents. It’s a good thing you are not a traffic consulting firm working for the City. Mr. Harrington would have had a lawsuit on the City’s front counter at 9:00am after reading a conclusion like that. 2) The need for a grade separated crossing from Olive Drive to the Downtown has existed at least since the railroad built the fence and blocked the informal at grade crossing. True that. Many people think I was opposed to the a railroad fence, because I was the primary outspoken opponent at the time (see enterprise piece). Rather, I’d been advocating for a fence for many years, WITH a grade separated bike/ped crossing, so everyone would be funneled to a single, signaled crossing. 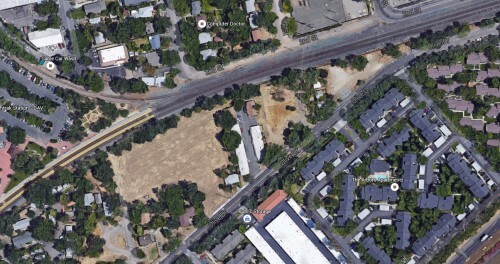 My objection to UPRR’s fence is it fenced the entire neighborhood, forcing everyone to either go around the ends of the fence (this happens many times daily at very unsafe locations) or for most people into “the worst intersection in Davis”. I am all about transportation and linking via land use. Just because people are doing the above and no one has been killed does not equate to the current situation on Olive Drive being either safe nor sane. It is a far from either. We are in agreement. I specifically included the phrase “at least since” because the informal at grad crossing was not a safe situation so the need really does predate the fence, but the fence increased the need. The Amtrak parking lot is full at 6:30am. When the Capitol Corridor expanded frequency a bit over a decade ago, the next day, literally, commuters crammed cars for blocks into the south end of the Old East Davis neighborhood. This included (I have photo evidence) parking on the UPRR right-of-way, parking perpendicular to the curb!, parking in front of driveways, etc. After a two-year effort, fought by some vocal commuters, we established the “T” Parking district which prevented this. The demand is still there, more than ever (increased ridership). Commuters park deeper into the neighborhood now where there are not parking districts yet (there soon will be), those willing to walk. It is well known that many in Sacramento drive to Davis as it is easier from many locations than trying to get into downtown Sacramento, especially from the northern suburbs. Residents of Winters, Woodland, Dixon, West Sacramento and West Valley I-5 corridor communities all use Davis as their regional rail hub. The Capitol Corridor is working on a long-term expansion plan the includes 15-to-30 minute head-ways, electrification, and that will command a much greater market-share of Bay Area trips. Yes it is decades away, but expansion will come and will be necessary. That is why I have long advocated the Calori Property as a needed site for the parking that will be needed, and it should be largely funded by regional funds as it serves. Davis must be ready for the future. Rail can accommodate future capacity needs in the corridor. Ever-increasing capacity on an ever-deteriorating-travel-time I-80 is a fools errand. Well-stated, Alan. Sorry that some others apparently don’t share your vision on this. Even driving to the Bay Area on I-80 during commute hours, or Sunday afternoon, such delays don’t convince people. They think we can just keep adding lanes. Eventually, when it gets worse, maybe it’ll start to sink in. So we have no-growers and significant slow growers opposing development that benefits the community and benefits others in the community and are now advocating for a parking structure to benefit people from outside the community to help them with their commute. I think Davis is infested with aliens from another planet. I’ll probably just refrain from that discussion, again. But no doubt here… as someone that moved here recently (after once having lived here) you have to admit that this advocacy for Davis building a parking structure to benefit commuters from outside our community is a little… suspect… or weird. Especially coming from those that tend to oppose all other development. When opinions do not make rational sense, either we are looking at a hidden agenda or a lack of rational thought. I understand why you’d think that. But, additional parking might also benefit Davis residents who want to take the train, but perhaps cannot realistically ride/walk to the station. (Not to mention those in surrounding communities, who might also take the train if it’s a reasonable alternative.) I’ve personally seen how inadequate the current lot is. I’ve always thought that all communities should take reasonable steps to encourage public transportation. (And, this does not always preclude using autos for a portion of the trip.) Sometimes, it is too inefficient to use public transportation for the entire trip. If public transportation becomes too time-consuming, expensive, or complicated, people are more inclined to drive the entire distance. Ok, that part I get. But making Davis a transportation hub to charge for parking is just weird from the perspective of being opposed to traffic in Davis. Really, we want to stuff more people on the train at OUR train depot… have them drive here and park here. Then get home and rush hour and jump in their car to get back on the freeway? If we built more retail and entertainment venues and hotels we would be taxing those outsiders. And they would not need to be rush hour travelers. I am more than perplexed at this suggestion. It seems brainless. Yes, they’re insufferable and lame. They’re already “rush hour travelers”. Encouraging public transit for a major portion of their trip would get them off the freeways, for the main portion of their commute. It’s unfortunate that many (including myself) were not aware of Alan’s foresight, well-before the apartment complex proposal came up. True regressive argue against public transportation. Ron – do I need to draw you a picture of a hub? You know, where all traffic leads into and out? If you want a lot of traffic then become a hub. Can I get some of that bud you are smoking to submit to a lab to make sure it isn’t dangerous? Look at Frankly turning into a anti public transportation NIMBY. Now I have seen everything. Commuters are already here (e.g., on freeways), but not always stopping to take the train. I understand that there’s challenges. And, I’d have to acknowledge that I don’t have much faith that the best decision will be made, at this point. I’m not a public transportation NIMBY. I am a my-community-first progressive. Why would I want a flood of new park-and-ride people coming into Davis packing the ramps and intersections? Why if I am going to take the train would I want to invite a flood of new people in to compete for seat space on the train? How does any of this befit Davis? I am starting to get the picture here that parking and traffic in Davis is really a proxy argument for some of NIMBYs. I am starting to think that most of your opposition is really about your property values. For example, stuff the local roads with more traveling visitors but please don’t allow them to take up residence and stay. The only other thing I can think of is that the Davis NIMBYs claiming to be so environmentally concerned just want to clear the roads so they have an easier car commute… assuming they can even get out of the city with all that new park-and-ride traffic. Transportation is my thing, man. Growth without keeping up with transportation planning and implementation is insanity. Such as going 25mph on I-80. So Davis should be a transportation hub for the rest of the region while we become a more exclusive, expensive and insolvent city? Frankly is just upset because he can’t post his 5 favorite letters on this thread. It’s a known fact that the best way to reduce traffic is to build a big garage for commuters. Conceptually it’s related to SIRNA. I absolutely agree with Alan that currently the demand is there. The question is what is the price elasticity of that demand. That is particularly germane given the fact that the current price is $0.00. Ron, there isn’t anyone who dosn’r share Alan’s Vision on this, but as you said in an earlier comment in another thread, the next step after agreeing on a Vision is to wrestle with the practical realities of how to accomplish the Vision in the real world as it currently exists. If we could jump into a Time machine and go back 30 years, then the kind of Federal and State funding resources that would help this project fiscally might exist. The Great Recession has largely dried up those Federal and State funding resources. That moves the Vision for this project from the public sector over to the private sector. I am trying to understand your logic in supporting a parking facility on this site. I assume you anticipate something more than the apartment complex’s proposed 239 parking spaces. 500 parking spaces? A thousand? More? The vast majority of these spaces would be filled and vacated every day during rush hour through, as you call it, “the worst intersection in Davis”. Explain how that will work, please. Don, I am never one to use the “usual” phrasing. Sacramento Amtrak requires people to pay for parking. Davis is free, so people drive to Davis and park all day. I know, because I’ve talked to people who do this frequently. Also Davis is the choice for train riders coming from Yuba City and other places north. There is no commuter bus system from these areas. I know people who ride their bikes to the train station, but have to take their bike onto the train with them after getting bikes stolen from the station. There is no secure area to leave your bike around the station. I’ve recommended that they park their bike a block away in front of a store and walk over to the station. Amtrack needs more parking with stacked parking to accommodate commuters. There could be a more secure bike parking area that required riders to enter a code to enter to encourage biking. There could be a shuttle to a park and ride lot that is more remote. There are solutions. Yolo Bus could have commuter buses that didn’t stop in a million places. I took the bus home from the airport recently. It took around 1 1/2 hours. 30 minutes of waiting and then an hour ride that was fairly miserable. I wouldn’t do this again willingly. Bicycle theft at the station is a problem and more secure bike lockers are coming. I spoke with some one recently whose girlfriend parks 4 blocks away at his place of work when she takes the train to avoid theft. There may be people who drive to Davis to avoid the paid parking in Sac, but the people from Sac I have talked to cite convenience as the main reason they come to Davis. There’s the thing about incidental evidence -both what RKelly and I state can be true. Neither is a true indicator of overall behavior patterns. Stacked parking would add some spaces to the existing lot, but the lot is just to small to have it significantly increase available parking. Still some increase is better than no increase. RK, agree with everything in your post. Davis and Sacramento are both getting many more bike lockers. It will not be enough. 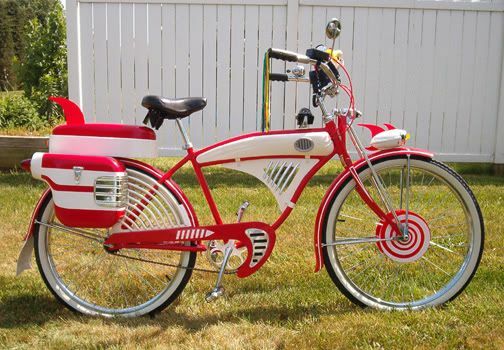 1) I use a bike that looks sh-tty. 2) I use three U locks and a cable lock, and have a covered cable permanently attached to my basket and one to my seat. 3) Always lock your bike to something solid. As for Yolobus, I went to several of their scoping meetings in the 1980’s and made suggestions as to how they could improve service. And for the most part we have the same sh-tty service today as we had then, sans the airport loop which is brilliant. Most people will not spend their day looping around West Sac and Davis, starting and stopping. So I stopped going to their scoping meetings — waste of time. Not sure about stacked parking. I’d have to see a demo on how that would work here. My advice to people it to make sure any bike you lock up outside looks like it will sell for under $20 on Craig’s List. I have never left my Moots mountain bike or Scott road bike locked outside even once (they are both locked to the wall “inside” my locked garage right now). Many such seconds bikes available at Green Bicycle Depot on Olive Drive, or any police bike auction day. When I was at UCD we called it the ugly bike theory. You want a bike that rides well and is very usable, but looks like a piece of junk so people are less interested in stealing it. Make riding a bike to and from seem much less attractive having to ride a piece-o-junk just to prevent it from being ripped off. Maybe this is one area Davis can improve on… preventing so much bike theft… to help encourage more people to ride their bike. > a demo on how that would work here.